Many people don’t think about their HVAC system until something goes wrong. Don’t wait until the middle of summer when you need an AC repair to care for this important cooling device. Instead, take some preventative maintenance steps, so your HVAC is ready for those hot summer months. If you aren’t sure where to start, Guelzow Heating & Air Conditioning Service in Wisconsin Rapids, WI, shares advice about getting your air conditioners ready for summer. Whether you have central air conditioning or use window units, these devices feature filters. Check the manual to learn where they are and when they need cleaning or replacement. Making this easy change prevents needing AC repairs later in the year and improves the air quality inside your home by removing built-up contaminants from the filters. Central air conditioning systems feature ductwork to move cool air throughout your home. Get the ducts cleaned once or twice a year to remove dust, dirt, pollen, dander, and other materials from the system. This can improve your household’s allergies and other respiratory issues, as well as the overall promotion of a cleaner home. 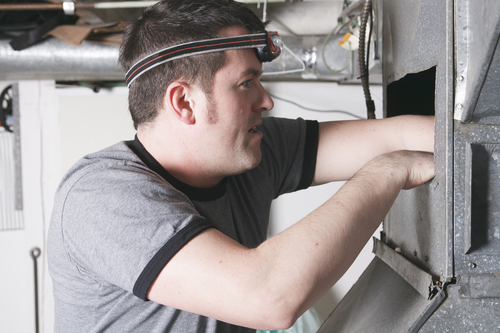 Have an AC repair person inspect your system once a year to ensure everything is in top working order. They can assess your units and ductwork, provide necessary maintenance, and perform fixes as needed. This way, you won’t have to wait for AC repairs late in the summer when many people have HVAC issues at once. You can prevent costly repairs and a hot home this summer by performing maintenance now. Schedule a duct cleaning, change or clean your air conditioning filters, and make AC repairs before the weather warms up. To speak with the team at Guelzow Heating & Air Conditioning Service about your seasonal needs, call (715) 423-1086. Visit the website for more information on the family-run company’s timely, efficient installations, repairs, in-floor heating, and other services. The experienced technicians also provide emergency HVAC services to cater to your heating and cooling needs.